We are Carlsbad Cotons located in beautiful Temecula, California. We are blessed in many ways. The weather is wonderful and we are only a couple of miles from our kids and grand kids. On top of that, we get to share our labor of love with our owners! 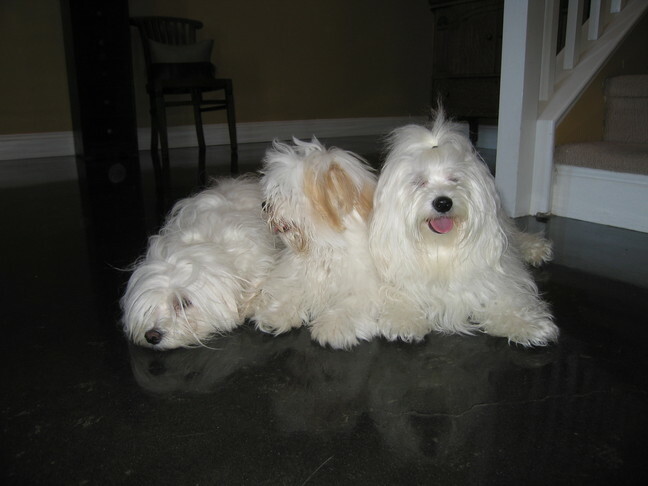 We have been raising and breeding Coton De Tulears for nearly 14 years now and know the breed very well. From day one, we knew that this was an extraordinary breed. 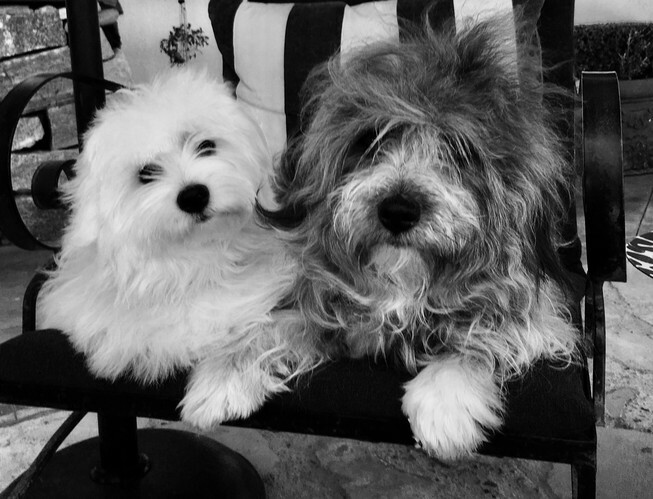 To date, we have placed over 400 Quality Coton De Tulear puppies in qualified homes, with what we believe to be terrifically wonderful owners! Proclaimed to be the "Royal Dog of Madagascar" it is easy to see how this breed was adopted by the Royal Family. They were bred to be companion dogs for sailors and that trait is instinctual in the breed today. 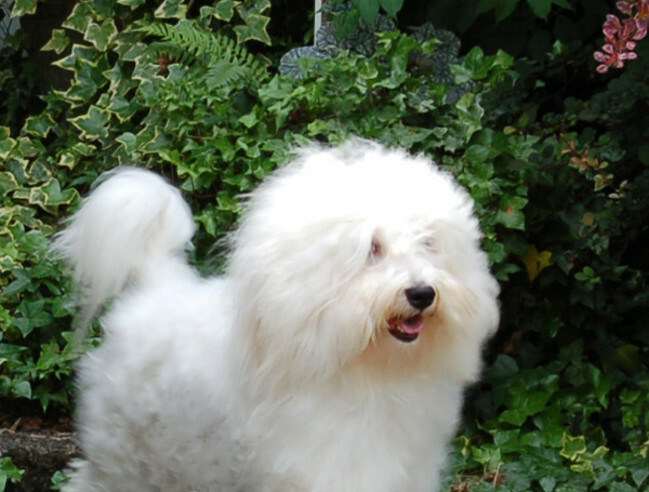 You won't find a history page or a specifications page on this site, but rather we choose to use that space to show pictures of our Coton puppies and their new family members. Most of our owners are pretty well educated about the breed by the time we start having conversations about the possibility of owning one of our kids. Our puppies are APRI registered purebreds and are all white with champagne tipped ears which fade to white with age. We also have puppies of color from time to time. We hold them for 9 weeks from the day they are whelped. When they are allowed to go to their new families they will be micro-chipped for identity purposes. In addition they will be de-wormed and will have had their first round of immunizations. 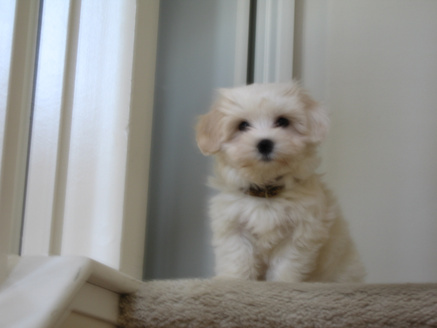 If you are looking to add a new Family Member in a quality Coton De Tulear puppy, then you have come to the right website. Please visit our Available Puppies page to see current availability. Elsie was recently retired from our Breeding Program! Our Lilly, one of our breeding females. Beau, Cezzy, Zoe & Tweed watching TV or at least Tweed is watching TV! More than a Lap Dog!